To celebrate its 50th anniversary, Intermarché is back with a new opus from the saga "we are Producers and Retailers to help you eat a little better every day". In 2017 Intermarché moved millions with a 3-minute film that allowed the brand to pre-empt an emotional territory previously unseen in its category. We discovered a young man who changed his eating habits in order to win the affection of a store cashier, set to the tune of Mouloudji's song "l'amour l'amour", which has since had its own revival. This unique advertising saga, which reflected the brand’s repositioning to focus on eating better established Intermarché as a leader in growth in France, ahead of all its competitors. The campaigns also went on to win the Grand Prix Stratégies and the Grand Prix Effie in France. For this new opus, Intermarché takes us into the daily life of an elderly man who recently lost his wife. He chances upon an old recipe box, and decides to make a dish with her secret recipe, a quest that will revive the memories of his one true love, like Proust’s infamous madeleine. This time, Benjamin Biolay, sets the tone with a cover of Cole Porter's famous American standard "C'est Magnifique”. This moving song isn’t well-known but is the perfect rendition to accompany this emotional story. 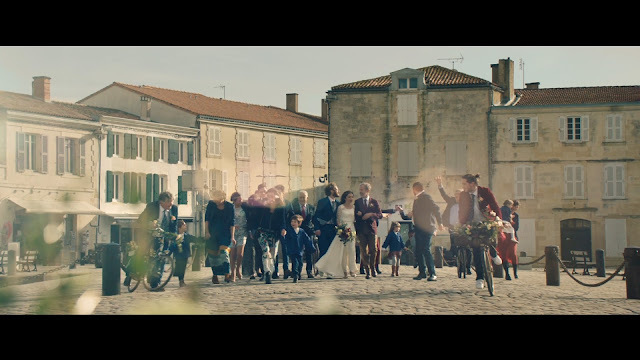 In the new spot, we find the signature elements of Intermarché’s ongoing saga, with the same team behind its creation: an epic story that speaks to everyone, created by Romance and directed by Katia Lewkowicz, a 3-minute format and a French song that becomes its own character within the film.